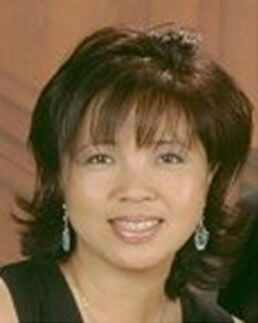 Dr. Cynthia Diep is a licensed dentist who has successfully treated patients more than 29 years. She is a graduate of the UCLA School of Dentistry where she earned a Doctorate in Dental Surgery. Dr. Diep completed a Residency in Orofacial Pain and Sleep Medicine at UCLA and received advanced Integrative medicine training at the UCLA Center for East-West Medicine. Dr. Diep is an experienced practitioner of integrative medicine, which incorporates the best of modern Western practices and traditional Chinese medicine. IM's whole-body philosophy integrates a patient's mind-body-spirit and natural healing ability to treat root causes rather than symptoms. Using this approach, Dr. Diep has treated patients with insomnia, sleep apnea, snoring, neck pain, headache, burning mouth syndrome, trigeminal neuralgia and oral facial neuropathy issues. To reach the optimum individualize health treatment outcome, Dr. Diep applies in our clinic the integrative oral medicine principals: namely combining the traditional western pharmaceutical medications, botox injections, trigger point injections with the eastern TCM treatments of acupuncture, Tui-Na, cupping, etc. Dr. Diep also offers Botox to relieve headaches, jaw tension, and pain from TMD. Dr. Diep is a teaching faculty of UCLA center for East-West Medicine and a lecturer at the UCLA School of Dentistry. She is a licensed acupuncture and a Diplomate with the National Certification Commission for Acupuncture and Oriental Medicine. Active in her local community, Dr. Diep served as a volunteer acupuncturist for athletes at the 2015 Los Angeles Special Olympic World Games, and was a parade committee volunteer for five years with the Pasadena Tournament of Roses. Internationally, she participated in aid missions with Hope for Tomorrow to provide medical-dental treatment for children in Cambodia and Vietnam. She also served as a staff volunteer at Accueil Saint-Frai Hospital in Lourdes, France from 2003 – 2006.